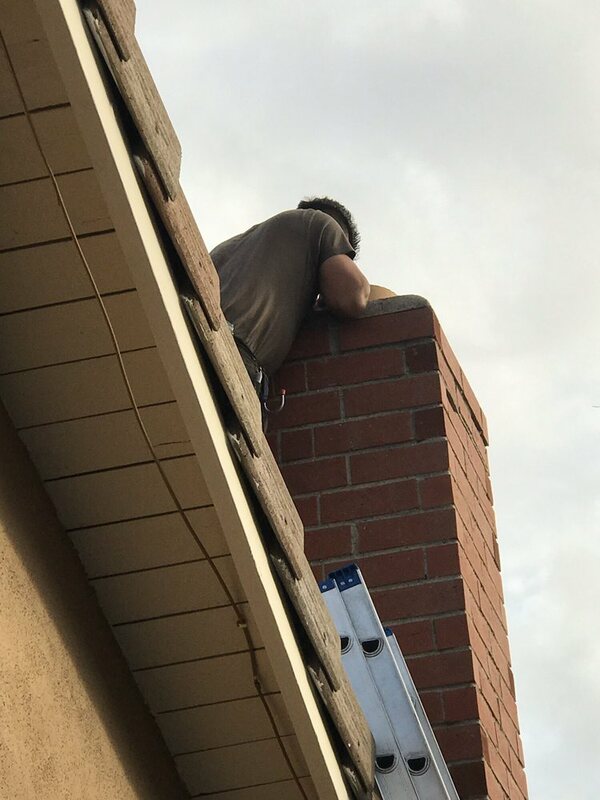 Home › Chimney Sweep Orange County › Winter is coming up! Don’t let your chimney catch fire! Finally! Winter is on it’s way. It’s time to break loose those chimney flues and hope there are no nests that come crashing down! It’s also time to have you chimney inspected and cleaned so that it doesn’t catch fire over the winter. How does that happen anyhow? Essentially enough soot cakes onto the side walls of the chimney over time to create a combustible material. Sort of like charcoal. Then at some point when you are enjoying a nice fire in your living room or bedroom, the temperature and fire created develops enough heat to start burning the caked soot on the sidewalls. Then you have a chimney fire on your hands. Chimney fires can burn explosively – noisy and dramatic enough to be detected by neighbors or people passing by. Flames or dense smoke may shoot from the top of the chimney. Homeowners report being startled by a low rumbling sound that reminds them of a freight train or a low flying airplane. However, those are only the chimney fires you know about. Slow-burning chimney fires don’t get enough air or have fuel to be dramatic or visible. But, the temperatures they reach are very high and can cause as much damage to the chimney structure – and nearby combustible parts of the house. ‹ Meet the owner and staff!